f 1:2. Ursa Major ("Big Dipper"). Note that central star images appear to be essentially round, but that peripheral star images show some elongation. 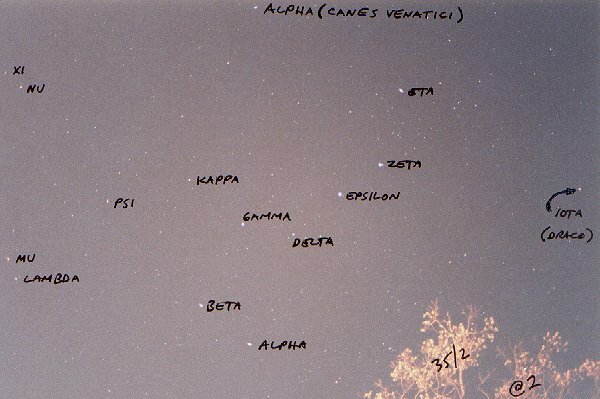 Alpha, Beta, and Eta show bluish elongations, while Psi and Mu show reddish elongations (barely visible in the scan, but more clearly visible in the print). With the aperture wide open, there is some apparent light fall-off toward the corners.